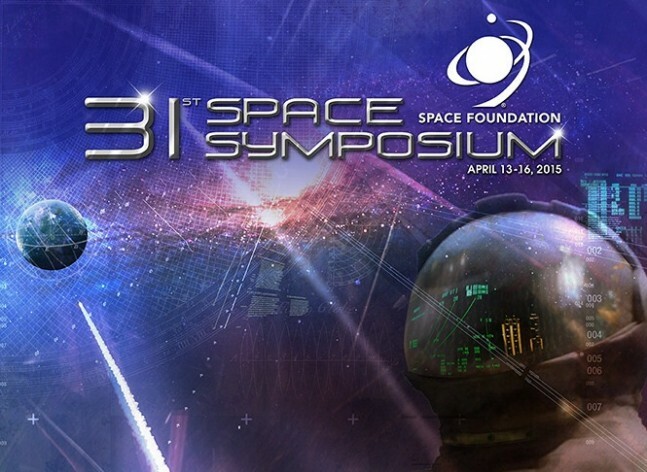 COLORADO SPRINGS, CO — Day two of the 31st Annual Space Symposium wrapped up yesterday, April 14, and SpaceFlight Insider was on hand to take in some of the action. We say “some” because it’s impossible to take in “all,” as there are three separate speaking / panel / presentation tracks taking place simultaneously, and one of those tracks is so “classified” that even Insiders aren’t admitted. In addition to the “tracks,” there are also numerous press briefings scheduled in the media center throughout the day. And, on top of that, there are two full exhibition halls filled with aerospace (and aerospace related) company booths providing information, and handouts, to all that may be interested. The panelists included, among others, ULA’s Tory Bruno, SpaceX’s Gwynne Shotwell, and Orbital ATK’s Ronald Grabe. There weren’t as many “fireworks” as might have been expected with a panel including both ULA and SpaceX. 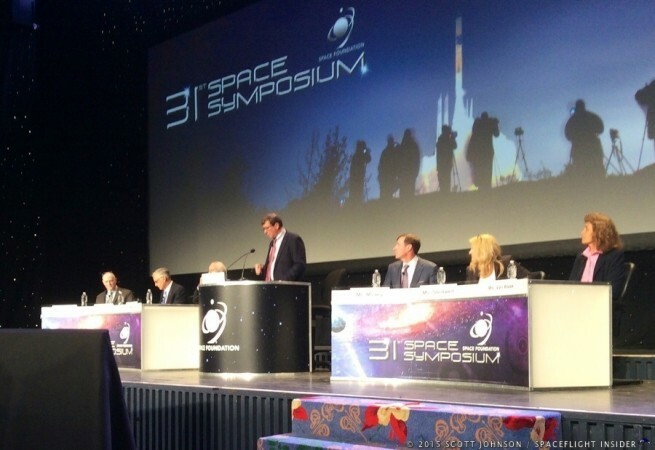 At one point, Bruno even stated that “I agree with everything that Gwynne just said” when responding to Shotwell’s assertion that there’s room for several launch providers in the market. There were also a few moments of levity, including Shotwell confirming that she’s not “scared” of the new ULA Vulcan launch vehicle. Grabe revealed that the Orbital ATK Antares (Orb-3) investigation board will be submitting its report within the next few days and that the most probable cause of the launch failure was due to excessive bearing wear in a turbo pump in engine number one. It should be noted that, later in the day, GenCorp (parent company of engine maker / modifier Aerojet Rocketdyne) released a statement calling Grabe’s statement “inaccurate and could be misleading” in that it was their finding that the bearings failed due to “foreign object debris” in the engine. 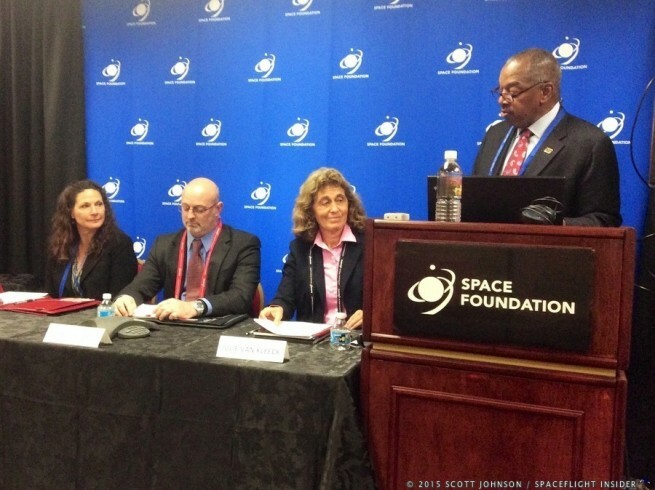 The participants, all from Rocketdyne, were Julie Van Kleeck, Jay Littles, and Linda Cova. Rocketdyne provided a brief summary, without too many details, of how they are attempting to incorporate additive manufacturing, or 3-D printing, into engine or engine component production to reduce both cost and manufacturing time. 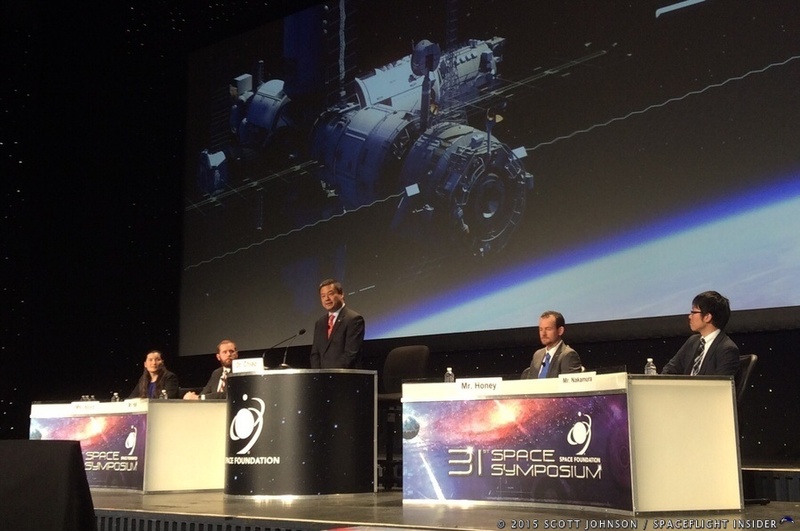 The discussion focused, primarily, on how additive manufacturing will be used in the production of the new AR-1 engine, but it was also revealed that Rocketdyne is looking into including additive manufacturing in the production of the RL10 engine and the expected new production run of the RS-25 engine (former Space Shuttle Main Engine, or SSME). This panel was moderated by former astronaut Leroy Chiao and consisted of four young flight control / operations professionals from NASA, the European Astronaut Centre (EAC), and the Japanese Aerospace Exploration Agency (JAXA). The panelists discussed, generally, the challenges and opportunities of professionals, young and old, in the business of International Space Station (ISS) flight control and operations. One of the primary challenges discussed was the effort required, and techniques used, to deal with the issue of controllers being located around the world, in many different time zones, and communicating in many different languages. 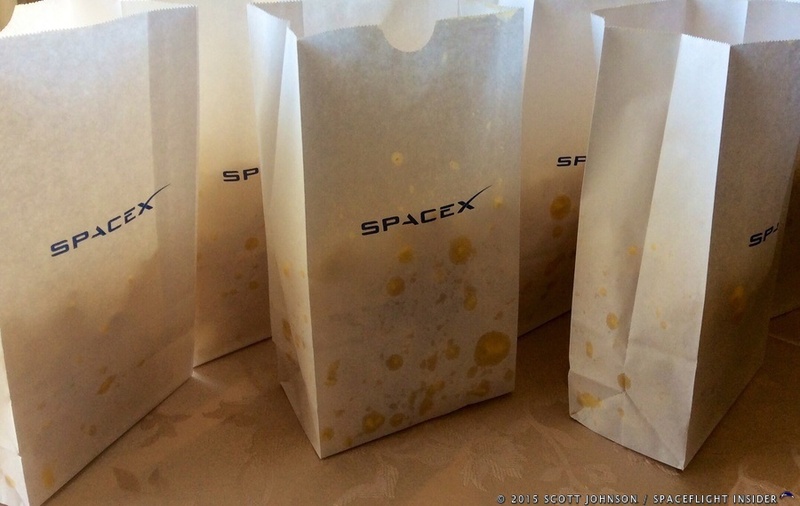 SpaceX held an impromptu CRS-6 Falcon 9 / Dragon launch viewing party for Space Symposium attendees, and broadcast the launch live, providing refreshments, popcorn, and post-launch celebratory champagne. Many SpaceX employees were in attendance, as well as Bill Nye “The Science Guy”.